Do you want to get rid of a double chin without going under the knife? Are wiggly thighs and bumpy upper arms making you self-conscious? Stop fretting, researchers have found a non-invasive solution for you. You can now burn fat deposits in your thighs, arms and chin area with just a few simple fat reduction injections. If you find it hard to believe, read the information below on this unbelievable treatment known as Lipolysis. Lipolysis Dubai is a non-surgical alternative to Laser Liposuction. It is a technique that involves injecting a chemical cocktail of pharmaceutical and homeopathic medications, plant extracts, vitamins, and other ingredients into subcutaneous fat. These chemicals primarily work by dissolving localized fat accumulations. The hormones used to induce lipolysis include epinephrine, norepinephrine, ghrelin, testosterone, and cortisol. Anybody who wants to get a localized fat removed from any part of the area can go for lipolysis treatment in Dubai. But there are certain pre-requisites that you must meet to be an ideal candidate for the procedure. You must not be obese, only overweight candidates can go for lipolysis Dubai. Furthermore, you should be in good physical health and have realistic expectations from the procedure. You must have realistic expectations from the procedure. Your surgeon can better assess your candidacy for the procedure after the physical examination. Daeyang Medical’s VINUSHAPE is used to perform it. Discontinue intake of blood thinning medications two weeks before Lipolysis treatment in Dubai. Quit smoking 2-3 weeks before the procedure. Refrain from alcohol 3-5 days prior to the treatment. Avoid medications that may boost metabolism. Discuss in detail with your doctor. Take a good night’s sleep the day before the procedure. Have a healthy meal 3 to 4 hours before the lipolysis treatment in Dubai. The treatment works by injecting the chemical cocktail into the subcutaneous fat. The small amount of medication is injected at a given spot. The medicinal conglomerate works by breaking down the lipids. It also induces hydrolysis of triglycerides into absorbable glycerol and free fatty acids. Triglycerides are transported by the lipoproteins to the adipose tissues and muscles through the blood. In the adipose tissues, these triglycerides undergo Lipolysis to yield fatty acids and glycerol. Fatty acids enter the bloodstream and then used for cellular uptake. Free fatty acids are not always consumed immediately. The glycerol, on the other hand, is absorbed by either the liver or the kidney. Lipolysis is a quick procedure that takes about 10 minutes. It involves no downtime whatsoever. You can simply come to the clinic, get treated and return back to work soon after. Results of the treatment are not instant. You have to wait for a few weeks before the injected medicinal cocktail starts working. What is the cost of Lipolysis treatment? There is a fair bit of variation in the Lipolysis treatment cost based on where you are getting the treatment from and how many treatment sessions will you require. The cost of the treatment internationally is several hundred dollars. However, it is lower in the UAE and your doctor can best guide you on the matter. Hundreds of people travel to UAE every year to get Lipolysis treatment in Dubai– courtesy its affordable cost here. 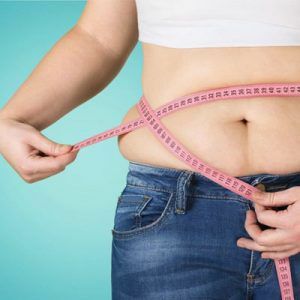 While the cost of Lipolysis in Sharjah and Dubai is significantly low as compared to other cities around the globe, the quality of treatment is never compromised, and this is ensured by the MOH UAE. For more information or to get the Lipolysis treatment in Abu Dhabi or Dubai, or to schedule a session, visit us at Laser Skin Care. Alternatively, sign up for a free online consultation by filling in the form given below and let our experts guide you. After hating my double chin and neck slope for 10 years, i finally decided to get rid of it but non-surgically. Doctors suggested me liposuction but i never agreed for that until Katrina Valente told me about lipolysis. I got four injections and my double chin is completely gone. I am extremely happy with my new face cut and recommend to lipolysis to all those struggling with localized fat problem. I would also like to thank Katrina Valente and Laser Skin Care for making me love myself more.